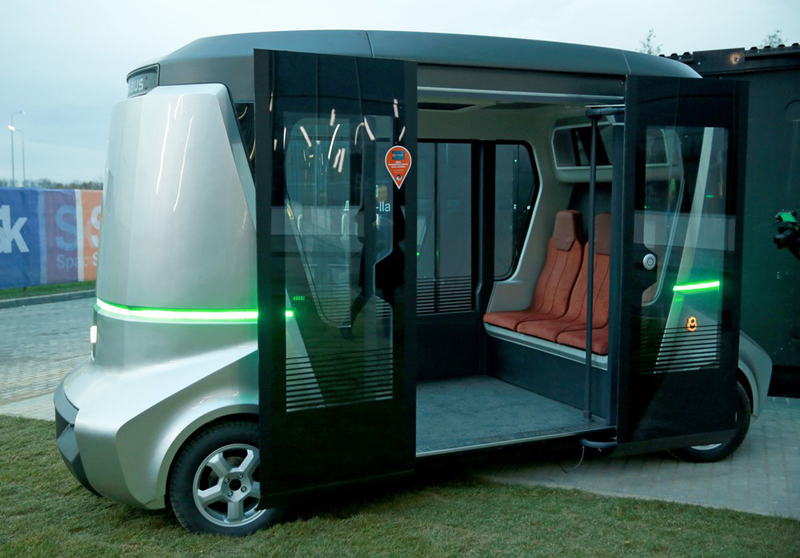 At Moscow’s Skolkovo Innovation Center, "Matrёshka" (“Matryoshka”) the first electronic driverless bus was revealed. This is the first vehicle of its kind in Russia, and it is designed to carry up to eight passengers. The debut took place at the annual international forum of innovative development, "Open Innovation", which runs Oct. 26-28, 2016, reports the news agency Moscow. The bus is controlled by computers and is equipped with self-learning software. There are specialized sensors and cameras on board which are able to observe the situation on the road in real-time. With a full battery, the bus can travel 80 miles, with a maximum speed of 20 mph. Testing for the bus was supposed to start in October this year, it was earlier reported, in a closed area of the Skolkovo Innovation Center. Production of the bus is planned for 2017 at the Volgabus factory in Vladimirsky Region. It was also reported that the Volgabus factory created the first Russian self-driving bus.